The first OMG was pure Joy. Like, “OMG! They like me! They really like me!” — that sort of thing. Then to top it all off, I find out they’re featuring my Comic Book Charm necklaces in the article. OMG. I need to make some necklaces too?? Yikes. To give you a little idea of what it’s like to be me right now, you need to add this amazing news on top of some really amazing, very real offers to buy my Tote2Go! double shoppers wholesale (which I’m still working on), my father going in for some minor surgery next week (which I’ll be going down to LA for), two Big “green” festivals coming up (Seattle Tilth Harvest Fair, Sept. 6th and GreenEdmonds, Sept. 13th), EtsyRAIN exploding with new members, events and activities…etc etc etc. Yeah. I’m nuts. Insane. Completely mad. I’ll be the first to admit it. My good friend, Tarah Perini of UrbanFashionNetwork.com wrote with the great news that she is a new “reader blogger” over at the Seattle PI’s online website! How cool is that? She’s writing about all sorts of fashion-y things like this post about StyleScout. Super cool. Then, upon looking over her Seattle PI reader blogger home page on the site, I saw that she put some links to my blog here AND my MarloM.com site! How totally awesome is that? Seeing my stuff in “print” never gets old, I tell ya. Thanks Tarah! For those of you who don’t know UrbanFashionNetwork.com, you really should check it out. 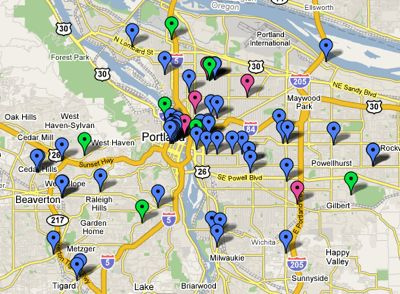 Tarah has created an amazing resource for designers — especially those based in Seattle. She runs a monthly Featured Designer column on the site (I was the Featured Designer in April! :) If you click on the “Boutique” section, you’ll find a drop-down list of ALL the local areas with lists of shops and boutiques that INCLUDE the buyer’s name and contact information! If you are a creative/designer & small business owner, this list will be invaluable when it comes to finding stores to carry your work! Click on the pic to go to the UFN site! Comments Off on Urban Fashion Network Birthday Bash…be there! What’s a “Hail-man”?? Well…it’s like a snowman…but…well. You can figure it out from there, right? Don’t ask me why I’m still awake. It could be all the sugar I just ate…who knows. I should be sleeping, since I spent all day in Renton (WA) doing my first OUTdoor show in a LOT of years…(my last outdoor show was sometime before 1997…in S. California…where rain pretty much stops everyone from going out.) and it was an experience and a half! Wow. What a show. I was next to Beth and across from Meghan with Rosalie/Doug and Laura (sharing a booth) just down a few booths [edit: OMG. I completely forgot to mention that Halina was just a few booths away as well! Sorry Halina!]. The drive there was so rainy…but it let up just a little bit – just enough to give everyone hope for setting up. Luckily, I had (wonderful) P with me, so I was very very lucky. Beth and Meghan were all by themselves. We all helped each other get the canopies set up (Yay for EZ-up canopies) and eventually got a break from the rain when the show opened at noon. …putting his nose and arms back in whenever they fell out…what a sweetie. Finally, show management took pity on us and let us start packing up an hour early just after the rain stopped for a moment. Luckily, we all helped each other get packed up as quickly as possible and we all got out of there before the rain started again! Phew! I personally sold a couple of things, but I’m not sure how others fared. I was in good spirits, but it was a tough crowd. Made tougher with all the puddles of water. Good thing this was a super cheap show to do. Tags: craft show, green, nw womens show, recycled, repurposed, seattle, Tote2Go! Please come and find me upstairs on the mezzanine level in booth #198 sharing with BeneficialDesign.com (creator of the Tote2Go! logo and website) as well as a plethora of artists from all over the PNW thanks to Tarah of UrbanFashionNetwork.com. Tote2Go! tote bags are created using only recycled, repurposed and remnant fabrics. Each “Double Shopper” is actually a set of two tote bags that fit together and fold into their own handy pocket for easy shopping! The fabric choices are limited to what I can find and are always changing. (For instance: One queen sized sheet yields 2 to 3 sets of Tote2Go! Double Shoppers) I always do my best to minimize waste and use the entire piece of fabric whenever possible. Pockets, zip pouches and quilt blocks are all created from Tote2Go! scrap fabric! Tags: craft show, etsyrain, seattle, selling, shopping, the fall thing, Tote2Go! Anywhoo. The “Fall Thing” craft show this Saturday is going to be my first “trying to make some sales” show in a LONG time. I can’t even remember the last retail show I did that I was actually hoping to sell a bunch of stuff. At any rate, it’s going to be a LOT of fun! 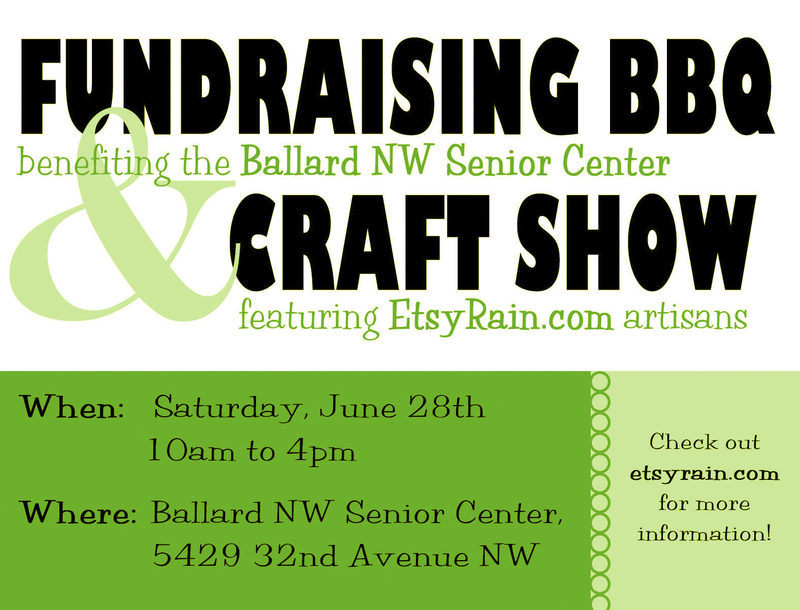 There will be about 40 vendors there from all over the Seattle area, most with Etsy shops as well. I’m sharing a booth space with Julie Charles of LiveWire.etsy.com. She makes the cutest jewelry. If you haven’t seen it in person, you really need to check it out. I’ve been sewing like a mad woman the last few days, and I still don’t feel like I have enough! At least the things I am bringing represent the best of what I have. I really love the new fabrics I’ve found. I even used interfacing on some of the fancier ones! I really hope to get some good feedback on the new Tote2Go! handle design as well. I like it…but I guess we’ll see if everyone else does too!